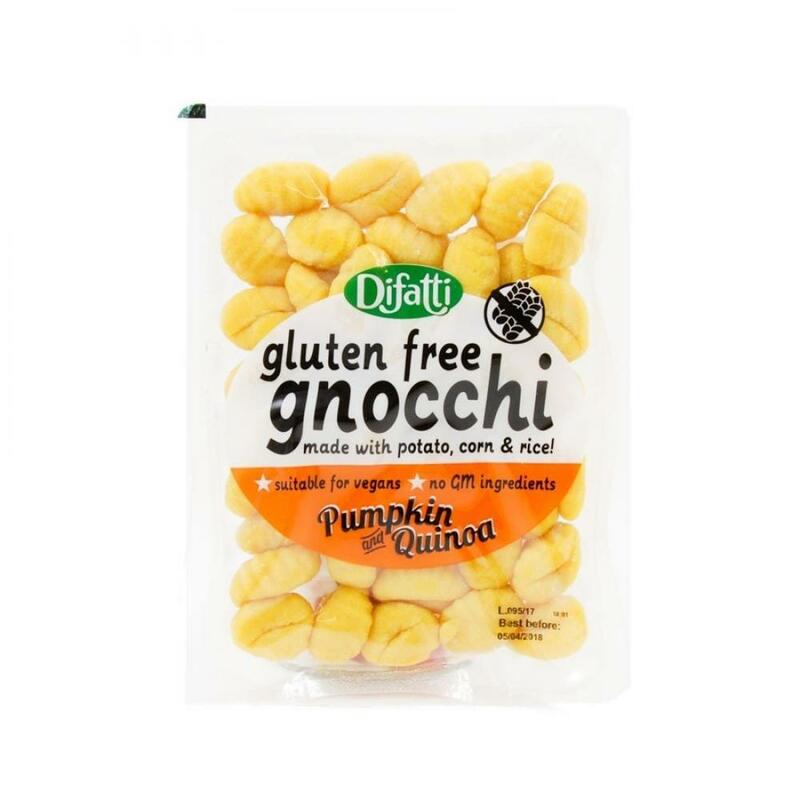 Difatti gluten free pumpkin & quinoa gnocchi are an Italian classic, now reinvented with pumpkin and quinoa. These plump potato dumplings with sweet pumpkin and slightly nutty quinoa are the perfect partner for cheese, sage, garlic and prosciutto. The gluten-free gnocchi are made with rice and corn flour instead of wheat flour. Difatti use traditional Italian methods to make sure they have the same great flavour and texture as classic gnocchi. Ingredients: rehydrated potato (70%) (water, potato flakes), pumpkin (10%), corn flour, potato starch, potato starch, corn starch, quinoa (3%), rice flour (3%), salt, acidity regulator: lactic acid, preservative: sorbic acid, natural flavour.